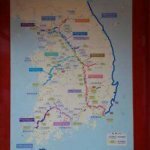 Discover ride maps of areas and destinations in South Korea that offer great cycling opportunities. 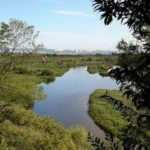 Cycle the popular 4 Rivers Paths, Ara Bike Path, Hangang Bike Path, SaeJae Bike Path, Nakdonggang Bike Path, Ocheon Bike Path, Geumgang Bike Path, and Buckhangang Bike Path. 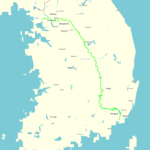 These cycling paths in South Korea appeal to every type of cyclist, from casual recreational riders to long-distance tourers. Our South Korea GPS Touring Routes products include downloadable files in .gpx (for Garmin and all other GPS devices) and .kml (for smartphones and tablets) formats. 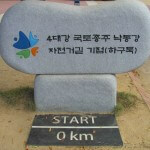 Would you like an email when one of these South Korean cycling articles is updated? Subscribe below.